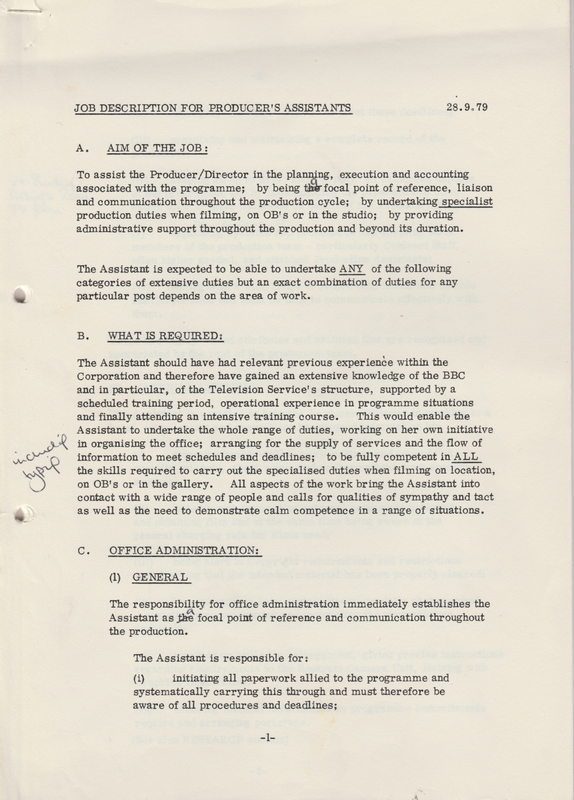 The first page of a job description setting out the tasks of an outside broadcast producer’s assistant. Click to enlarge in a new tab. Jane joined the BBC as a trainee at the age of just 19 and worked initially as a secretary in Arts Features. At that time the BBC would not allow those under 21 to work as a PA. After being recruited onto the internal “panel” and completing a compulsory six week training course, Jane spent a year as a trainee PA moving around various departments learning about film, studio and OB productions. After becoming a PA in 1974 she worked for Community Programme Unit on Open Door. In 1976, Jane moved from London to Manchester and began working for Outside Broadcasts in the BBC’s Type 2 Scanners. The work of a PA was vital to the successful running of an OB and required the ability to work under significant pressure. 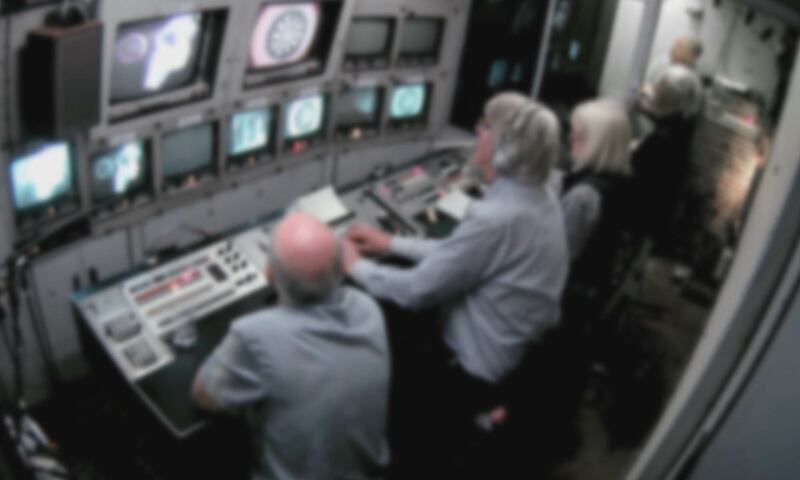 As a PA, Jane was responsible for numerous tasks both before and during the live transmission. In the run up to the event, Jane was required to attend recces and rehearsals to assist the Director and Engineering Manager with the planning and setup of a given show. This included organising anything from truck parking to scaffolding towers at football stadiums. In addition to planning and logistics, PAs also helped to develop and organise commentary and scripts for the upcoming programme. During transmission, Jane, armed with several stop watches, was tasked with overseeing the precise timing of the show and ensuring it fit exactly to its specified time slot. It was up to the Jane to count in links and videotapes at the precise moment whilst keeping track of the exact remaining running time and instructing the director if a given section needed to be cut down. All of these tasks meant that mathematical proficiency was an essential skill for PAs. In addition to timings, it was Jane’s job to monitor the live lines back to base, from where the programme would be transmitted, and ensure that these lines were open at the crucial moment. If these lines were not open, the programme would not be broadcast at all!